Not only is our hitting non-existent, but I’ve realized that our defense is really shoddy as well. We’ve had so many errors in the last week, and I’m sure many of them have led to game-winning runs. Last night we played the Phillies at home, and it was really bad. Going into the ninth inning, we had three hits. Three total in the whole game. And the Phillies led 3-0. We did get a couple of runners on in the ninth (of course), but we didn’t get the clutch hit (of course). I really don’t know what to say. We are in a horrible slump, and it’s really early. I don’t know if I should be settling in for a looooooong hard season or if I should keep hoping game after game that we will score some runs, at least. I’m used to cheering for a losing team, but that does not make it any easier. One of the worst players on this team right now is Brad Hawpe. I’ve never, ever liked this guy. I couldn’t stand him when he was on the Rockies, especially because he was involved in Game 163. Then, he was so good that I couldn’t stand him. Now, he’s so bad that I want to storm into the Padres’ front office and make them release him. His average right now is the lovely .116. Buddy Black brilliantly stuck him in the game in the bottom of the ninth with two runners on and two outs. Did he honestly think that Brad would be able to like, get a hit? Drive in a run? Impossible! I would have taken my chances with Alberto Gonzalez. Brad Hawpe has played in 16 games and he has five hits with two RBIs. Alberto Gonzalez had only played in 10 games and he has five hits with three RBIs. Alberto is hitting .238. I think the choice is obvious, but of course Buddy put in Hawpe, and he convieniently struck out to end the game. WAY TO GO, BRAD. WE REALLY APPRECIATED THAT. I don’t know about this, guys. We are pretty pathetic right now. And *sob* we’re in the cellar of the NL West. I hate the cellar. We were never in the cellar at all last year, and it makes me really sad that we’re back down there in that dark, sad, depressing place. Get it back together, boys. No matter what, I will always be a Padres fan. I’m going to cheer for these guys no matter what, but I would apprieciate a good win every once in a while, if you can muster that. Thanks. HUGE congratulations to Bud Black! Today he won the National League Manager of the Year award by one vote. Pretty sweet. Buddy absolutely deserves this. I thought he did an incredible job with the team this year. We were in first place for the majority of the season, and though we choked at the end there, it was still one of the best seasons ever. Buddy had been managing here for about four seasons: two seasons, we were within one game of the playoffs. One of the other ones was horrible, and the other one was okay. But I absolutely love having Buddy as our manager. He is an overall great guy, and he knows how to run a baseball team. The team went 90-72, ending up second in the NL West. It was an amazing season, but the end was heartbreaking. Thankfully, baseball is the game of moving on. Congrats, Buddy. You totally deserve this. Keep up the incredible work, and let’s get into the playoffs next year, okay? Okay. Good. Glad we have an understanding. I miss baseball. I miss my boys. I can’t wait for next season!!!!!! I TOLD YOU THIS WAS GOING TO BE CRAZY!!!!!! Seriously, last night’s game was a nightmare. I could not believe it. I was madder than I’ve been all year. I’m glad that you all couldn’t hear me, ’cause it was pretty ugly. I’ve never screamed at my computer so much in my life. I’m not very happy with Mat Latos right now. I mean, goodness, he picked a great time of the season to suddenly have this huge meltdown. We NEED him right now. We need him to be that dominating CY Young candidate he was a few weeks ago. Well anyways, I was like, this is absolutely ridiculous. It’s 8-2 in the bottom of the second. I was soooo upset, but man, we still had seven whole innings left. Unfortunately, the pitching totally imploded and the final score was 14-4. We didn’t even have a chance. So there’s another problem: the pitching. It’s been incredibly dominant all season and we CANNOT LOSE IT NOW. If we don’t have our solid bullpen, we’re done. There’s no way we can win without our pitching. We wouldn’t be where we are today if we didn’t have the kind of pitching we had all year. But now I’m really worried. Of course, we take things one game at a time, and today’s game is really worrying me. We’ve got Chris Young starting, right? He hasn’t pitched in the majors since April, and he’s coming off of a pretty major injury. I don’t think he’ll be able to go more than five innings, maybe 80-90 pitches. Even if he was pitching incredibly, I don’t think the pitching staff would risk him getting injured again. So say he comes out in the fifth. That leaves four full innings that the bullpen has to take care of. Last night we used Latos, Correia, LeBlanc, and Mujica, so the rest of the guys should be well rested, but still. We absolutely need to win this game today, and those guys are going to have to hold it together. Though last night’s game was a huge blow to the team and to the fans, we really got of easy. It was absolutely amazing to look at the standings this morning and to see that we still only .5 games behind. What a relief!! We are totally still in this thing, and though it’s been crazy, I think we’re still going to win the West. HUGE thanks to Randy Wolf of the Brewers. I don’t know what we would have done without him. He threw an incredible game against the Giants last night: nine innings, three hits, no runs, six strikeouts. Wow. Thank you thank you thank you Randy!!!! Guys, we need this game. I just cannot emphasize how much we need to win this game. We need to get back in first place where we belong. I know you can do it. My goodness, you’ve been proving it to us all year. Get out there, get some big hits, and win. Simple as that. GO SHOULD BE IN FIRST-PLACE PADRES!!! This series against the Mariners was so cool! Mostly because we swept them. But there were so many parts of this series that were so encouraging to see. How did we win all three games? How did this team work together to get the job done? That’s what I’m going to talk about today. In the first game of the series, it was all about the pitching. Clayton Richard started and boy did he throw a great game. He went six solid innings, only allowing five hits and four walks while striking out five. He then transfered the game to the bullpen 1-2-3 punch of Luke Gregerson, Mike Adams and Heath Bell. Also known as GAB. Heath allowed a walk and a hit, just to make things a little interesting, but he was able to close the game to get his 20th save of the year. Will Venable and Oscar Salazar gave us all the offense we needed: Will with a two-run homer, and Oscar with a run-driving-in single. San Diego’s pitching is the bomb. So we won that first game of the series 3-0. In the second game of the series, Jon Garland went up against ace Josh Johnson. Both are very, very solid pitchers, but who do you think would triumph? The Padres, of course. No ace, not even guys with 13-1 records and 1.60 ERAs, can stop my Padres. Okay, to be honest, Johnson was a tough pitcher. But we still came up on top, and that’s the thing that really matters. Garland went 6.2, only allowing one run on four hits. Johnson went eight innings, allowing two runs on five hits. Not bad at all, but it was all the Padres needed. Add a little bullpen of, you guessed it, Gregerson, Adams, and Bell, and we’ve got another Padres win. Score of 2-1. Adrian Gonzalez drove in one and Garland drove in the other. Simple as that. We hadn’t had a sweep in a while. So we decided to go for it. Mat Latos started and was amazing. He went 5.2 innings, allowing one run on five hits. Then Ryan Webb came in and gave up a run, which wasn’t a good thing. In the top of the first, Chase Headley singled in David Eckstein. Then Will Venable sac-flied one in. But Will wasn’t having that great of a game. He dropped two foul balls and a fly ball. But on the other hand, he did drive in three runs, and I’d say, he won the game for us. With the game tied at two in the top of the eighth, Will hit a two-run bomb to take the lead. Heath Bell was out of service, so Luke Gregerson came in and got the save. Thank goodness. I mean, Heath’s a great pitcher and all, but he is so stressing! I really appriciate closers who have three up, three down innings. It was a great game. A great series! But one thing that I’d really like to point out is how we were able to win these games without much help from Adrian Gonzalez. Contrary to popular belief, I think that Adrian is not carrying our offense. I think we’ve got a solid group of guys that can win with or without Adrian Gonzalez. All Adrian did yesterday was score a run. He didn’t provide any offense, and yet, we somehow won! Amazing. This team is so solid that they can win no matter what. If Adrian went down with an injury, I would not be worried at all. I believe that this team would still win consistently. They really aren’t getting the credit they deserve. They are the first-place team in the NL West for goodness sakes!! When are you going to be able to get that in your head? This is seriously legit. They’ve got this in their hands and they’re not going to let it go. This boys are so for real it’s not even funny. Tonight we get to face the most solid pitcher in the majors. Blah blah blah. I’m not putting down Ublado Jimenez’s accomplishments. I mean, 13-1 and 1.60 are pretty impressive numbers. But I can’t wait for my Padres to make that 13-2. No problemo. Kevin Correia can do it. Adrian Gonzalez and his offense can do it. GAB can do it. The San Diego Padres can do it. They can beat this guy as the best team in the National League. 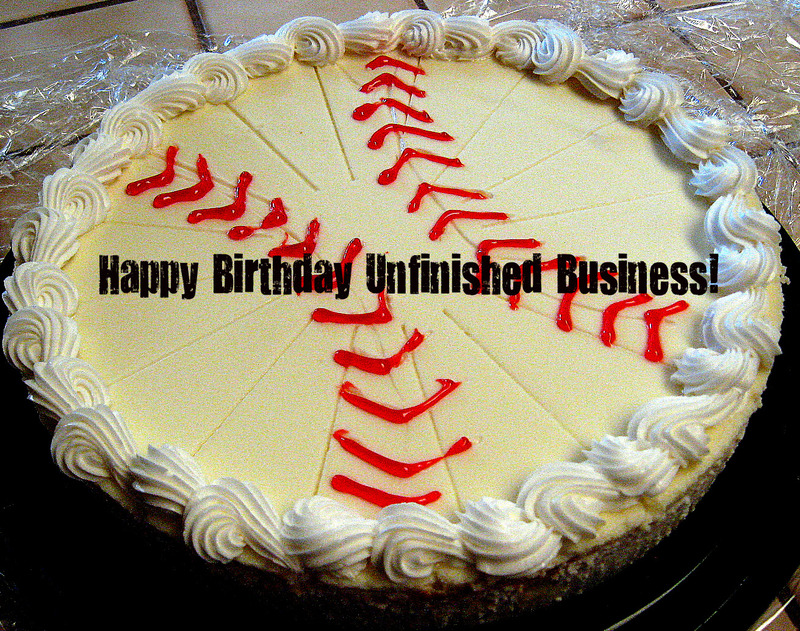 Happy 2nd Birthday, Unfinished Business! This has been a very interesting year in my fanhood. Only about a month after this blog’s first anniversary, our ace and homegrown boy Jake Peavy was traded. I was extremely upset at the Padres for that, and it was a rough time to go through. Surprisingly, I can look back on that trade and say that it really was for the best. The team has gained a lot more than it lost. It was also during this year that I lost my all-time favorite baseball player, Kevin Kouzmanoff. That was even harder than losing Jake. Even now, I don’t see a good, solid reason why they had to trade my baby. Obviously we did get some good players in return for him (Scott Hairston and Aaron Cunningham) but I think we could have gone without them. Sigh. We can’t change what happened but no matter where he goes, Kouzie will always be my favorite baseball player. In the second half of the season last year, the Padres really picked things up. I don’t know what it was, but I think it had a lot to do with all the young guys coming up and getting consistent playing time. The youth movement worked really well. We didn’t really leave our last-place standing in the NL West, but we were winning consistently, and that was good enough. All through the offseason, the big question was, are the Padres going to keep playing like that next season? Is this second half going to carry over? Is this winning thing really going to stick? It was in this time of uncertainty that I really started to think about the nature of my fanhood. I’m a die-hard Padres fan. But as I saw all these San Diego icons leaving, I had to really examine what my fanhood was. And in that, I realized that I am a Padres fan. I am a fan of the team. It doesn’t really matter who the players are, as long as there are 25 guys on that roster, I cheer for them no matter what. Kevin Kouzmanoff was a HUGE part of my fanhood, but when he was taken away, what was left? It was just the team. It was just the San Diego Padres. I think the Kouz trade really did effect my fanhood in a bad way, though. I have not been as motivated to listen to the games, or to blog, or to follow the Padres at all. Obviously, I am a huge Padres fan, but your fanhood is enriched so much more when you’ve got a special player to look out for and to cheer for. Ever since Kouz was kicked out, I haven’t had that. It’s kind of been rough, but I know that my fanhood will pull through and hopefully get a second wind. Hopefull I’ll be able to find a new Padres favorite soon. Lance Zawadzki was getting pretty close to that spot, but then the Padres sent him down. Boo. This is my fourth year of being a Padres fan. Isn’t it amazing how fast time goes by? For two of those years I’ve been absolutely priveledged to be a part of the MLBlogs community. It’s been so much fun blogging here. I am so thankful that I got to be in this group of baseball lovers. I don’t think my blog would be doing as well if I was at an independant website. Being a part of this group is so much fun! I am extremely happy to be here and to be celebrating two years of blogging! I expanded my horizons a little this year. Instead of promoting my blog exclusively in MLBlogs, I started connecting with some of the other Padres blogs out there like Gaslamp Ball, RJ’s Fro, and the Friarhood. I also extended into Facebook and Twitter for promoting. I really would encourage you guys to “become a fan” of or “like” or whatever it is they call it these days on the blog’s Facebook page. Every time I put up an entry I post the link on that page. I think it’s helpful to people so that they don’t have to remember to go to my blog everyday, they can just see the link on their Facebook newsfeeds and go straight to it from there. I don’t really tweet that much, usually the only times I do is when I don’t have anything else to do and I’m listening to the game…which isn’t often. I don’t always post the links to my entries every day either, so the Facebook page would be the better place to go. But I’m going to try to be better about updating both consistently. Hits: I think I’m getting about 2,000 hits a week. Lamenting the heat and our losing trends. I was soooo upset about the Padres getting no-hit that I abandoned the them for a weekend and fled to the Red Sox. Thank you so much to everyone here at MLBlogs. I love this place and it’s been so much fun blogging with you all. Thank you for making this an amazing experience for me. I love reading your blogs! Thank you so much to all the guys at Gaslamp Ball, RJ’s Fro, and the Friarhood. Your blogs are all so great and so much fun to read. I am extremely grateful to you guys for linking my entires and blog on yours. I know it’s helped my readership a ton and I can’t thank you enough!! It’s a pleasure to be part of such an elite group of Padres bloggers! Thank you so much to my MLBlogs Padres buddies, Hyun Young and John!! Both of you, it’s so much fun to talk Padres on Facebook and Twitter. Hyun Young, it’s so much fun to hang out with you at Petco and your love of the Padres inspires me. I still want to meet Eck sometime! Thank you to all my readers. I’ve said it time and time again, but without you guys, there would be no purpose for me to write this blog. Thanks for putting up with me through the good times and the bad. Thank you for all the support and the comments. You guys are amazing! Here’s a shoutout to everyone I personally know who reads this blog. You know who you are. Thanks so much for supporting my fanhood and this blog. It always thrills me so much when one of you comes up to me and tells me that you’ve been reading it. Thank you thank you thank you! Thanks to my Twitter followers and my Facebook fans. Thanks to my amazing family and super amazing friends. I love you guys! Thanks to my Heavenly Father, who has blessed me so much. Without You I am nothing. May I always give glory to You in everything that I do. HAVE YOU LOOKED AT OUR RECORD LATELY??? For some reason, I haven’t thought to look at it for a really long time. So when I finally noticed it this morning, I was shocked. We’re 21-12!!!! How amazing is that? That’s soooo cool!!! The first game of this series against the Giants went pretty well. We did leave a ton of runners on base, which was not good, but thankfully the pitching was amazingly solid and we were able to win the game 3-2. That gave us a 1 1/2 game lead over the Giants. Then last night, Clayton Richard went out there against Matt Cain. Someone said something on the postgame show last night that made me laugh. I think he said something to the effect that we knew we were going to have a tough time going up against Cain. Are you kidding me? We’ve always dominated this guy, especially at Petco. He’s no problem for us at all. I’m very thankful that we don’t have to face Tim Lincecum in this series, but even if we had to, I have absolutely no doubt that we would be able to win that game against him. I mean, we really threw Cain off of his game. He threw 114 pitches in 6.2 innings, and only 65 of those pitches were strikes. Meanwhile, Clayton threw seven innings of seven-hit two-run ball. Matt Cain walked six. Clayton walked two. In the top of the second, we got two runs: Yorvit Torrealba singled in a run, and then Clayton hit a sac-fly. The Giants got those runs right back in the bottom of the inning. In the top of the fourth, Jerry Hairston Jr. doubled in a run. Torrealba drove in another run in the sixth, and Scotty sac-flied our fifth run in the seventh. Mike Adams took an inning, and then Heath Bell came in to get his tenth save of the season. We won the game 5-2, which means that we won the series, which means that we’ve extended our lead over the Giants to 2 1/2 games. Like I said, this was a must-win series, and what do you know, we’ve won it. Amazing effort by these guys. They’re amazing!! We stole four bases last night, which extended our season total to 44. Still leading the Major Leagues. On that note, did you know that our 21-12 record is the best in the National League? Pretty amazing. It is so much fun to watch this team! We’ve been on this roll for quite a while, and I’m starting to think that it’s going to last. I mean, who knows, we’ve got a ton of season left. But can you blame me if I’m starting to think about October already? Okay, I’ll try to keep those thoughts down for now. We do have a long way to go, and a lot can happen in that time. Let’s just enjoy this amazing time here and now. Take it one game at a time. Top of the NL West!!! This Padres team is amazing. I don’t care what anyone says against them. They are winners and they are on the top of the NL West right now. 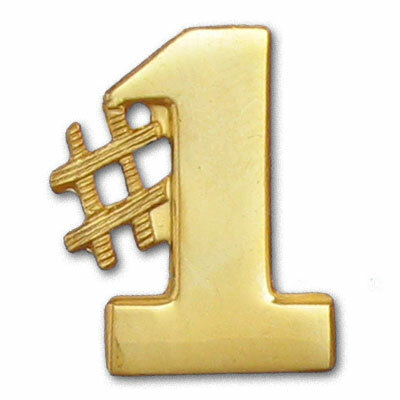 They are number one. And it’s not because the Diamondbacks and the Giants are really bad teams. I don’t believe that either of them are terrible. Even if they were, thay would not be the reason that we just won six games in a row. We just won six games in a row because we have the talent. We have the bats. We have the gloves and the pitching and the defense. We are the only ones to blame for this six-game winning streak. We had a great game yesterday. Adrian Gonzalez and Nick Hundley each hit a home run, Jon Garland was finally able to pull off a descent start, and best of all, we won the game to sweep the Giants to take over the top of the NL West. I am sooooooo proud of these boys. They’ve done amazing in the past two series, and I can’t wait to see what else they’ll do. Well done, boys.